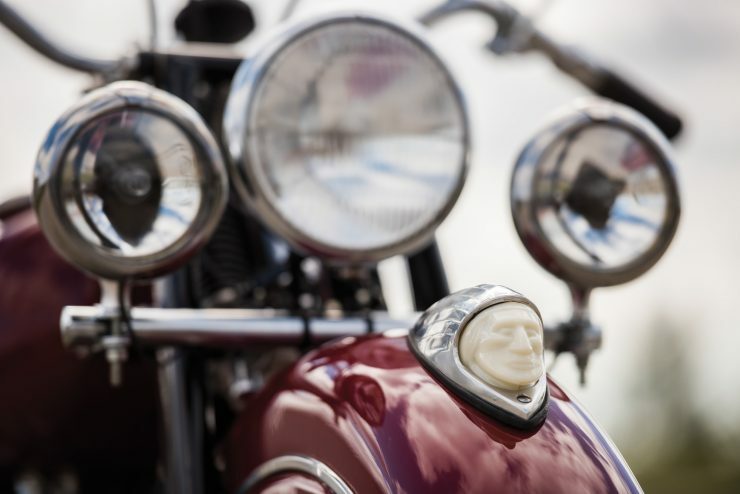 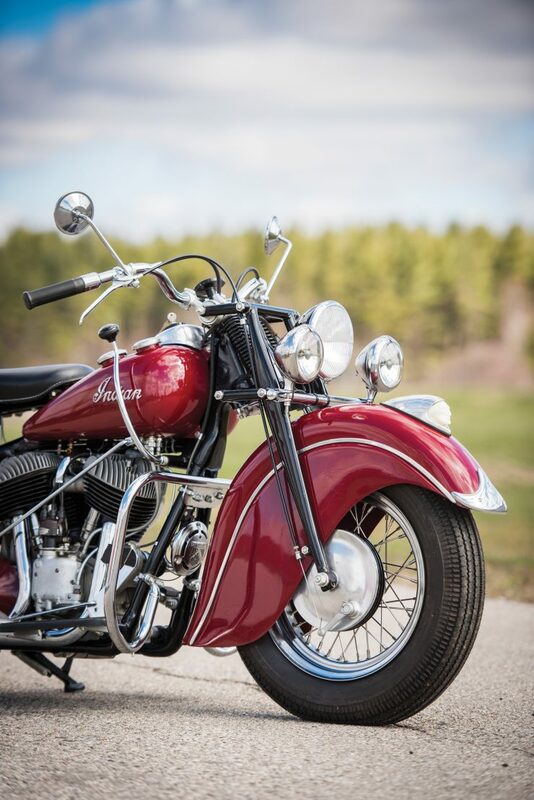 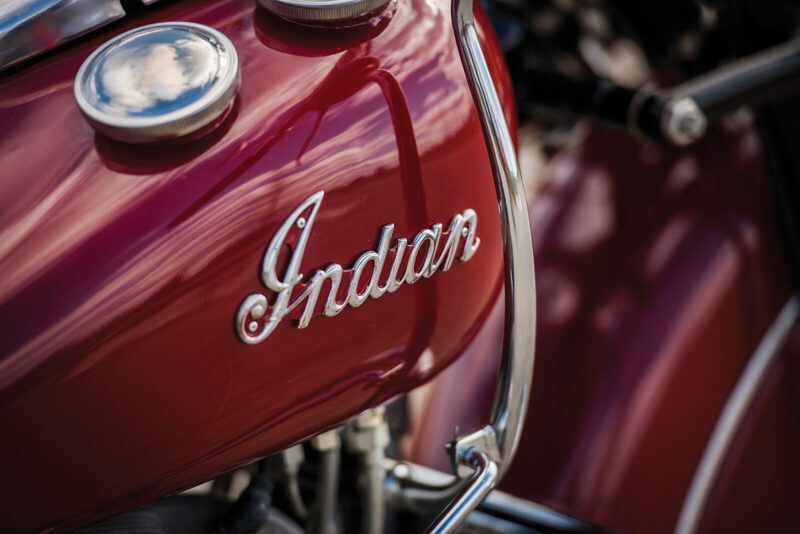 The Indian Chief Roadmaster was the top of the model line for the Springfield, Massachusetts, based motorcycle manufacturer in the post WWII period. 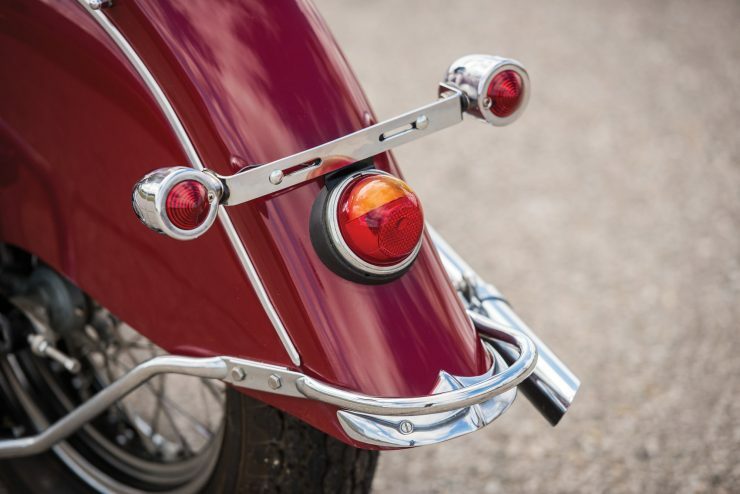 It offered a fully sprung frame with both front and rear suspension, a springer front end and plunger-type rear, at a time when its main rival only offered a hard tail frame – with an obvious reduction in handling capabilities. 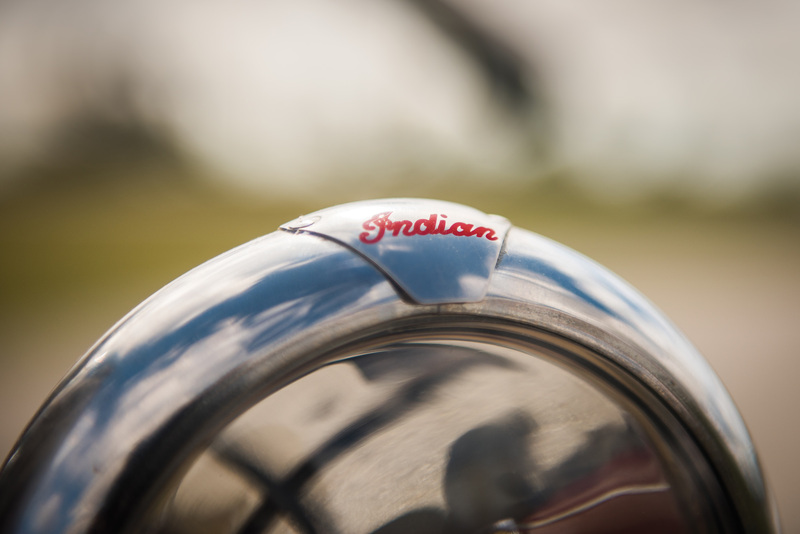 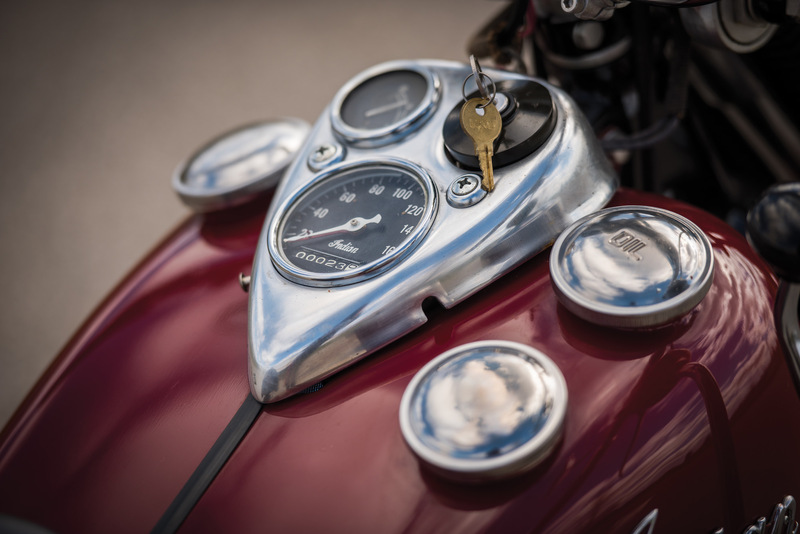 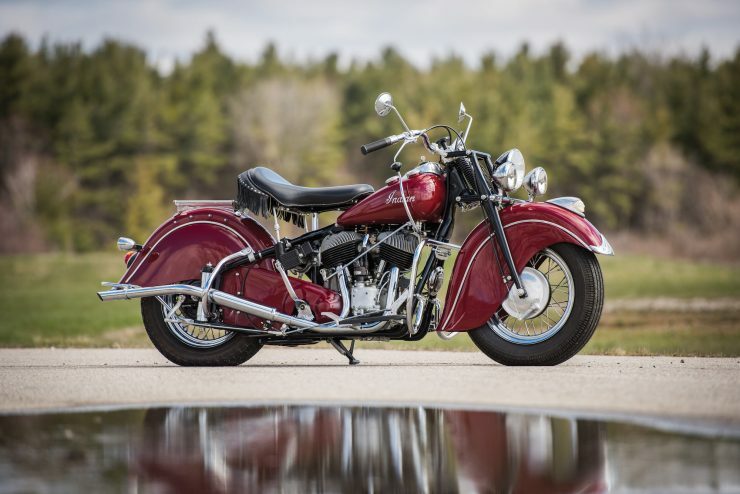 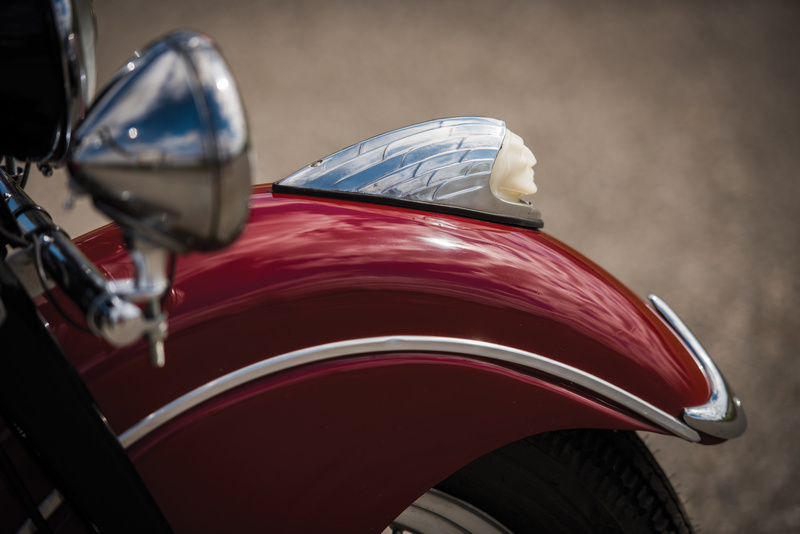 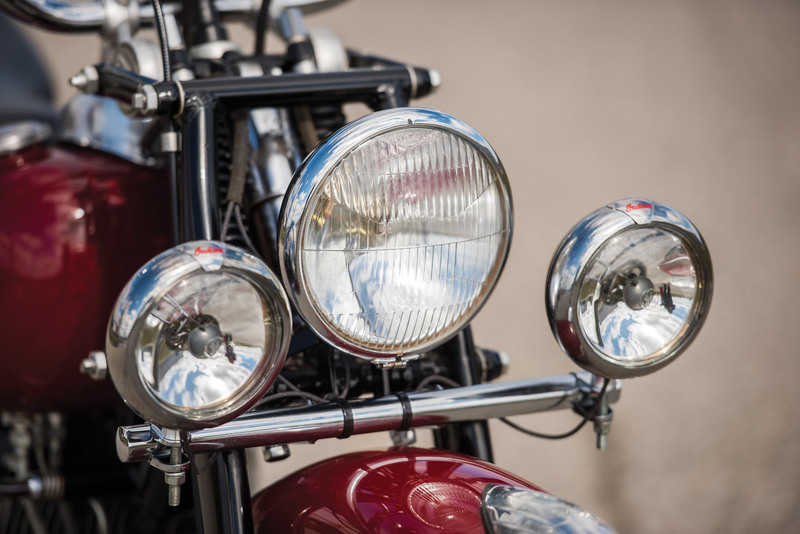 The 1947 model year is remembered as being the first time that the illuminated Indian head appeared on the front fender, chrome components began to appear as a more significant feature and the distinctive triple-headlight front could be seen coming from miles away. 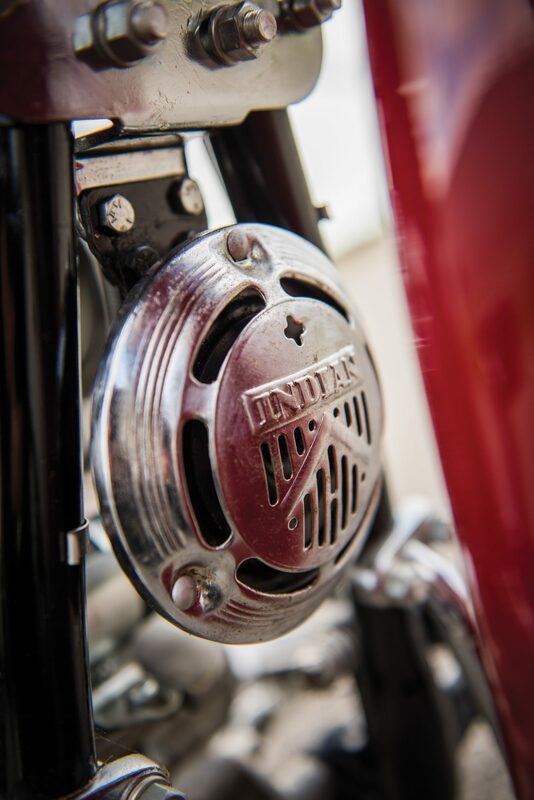 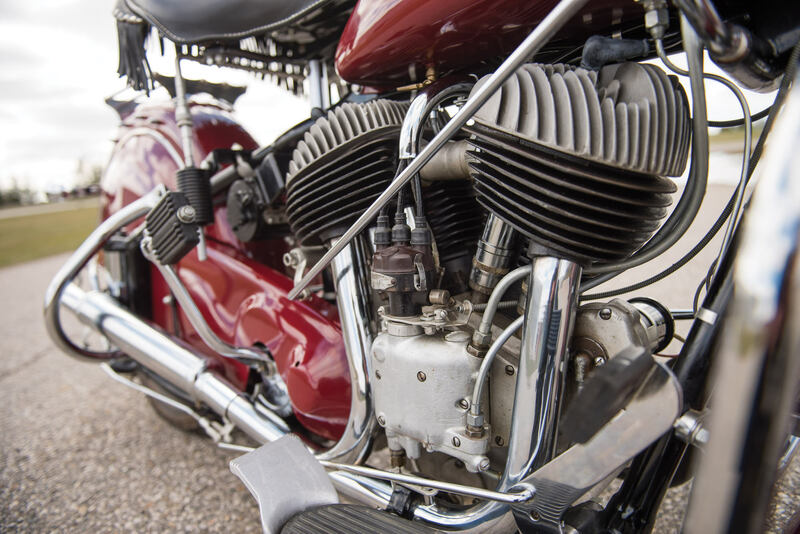 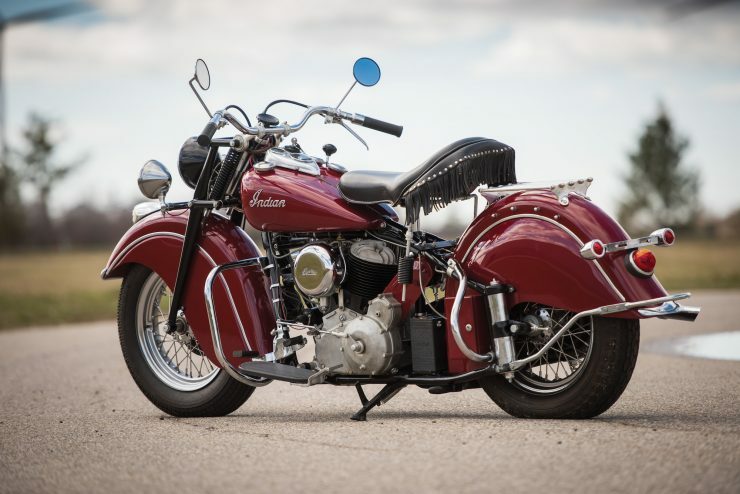 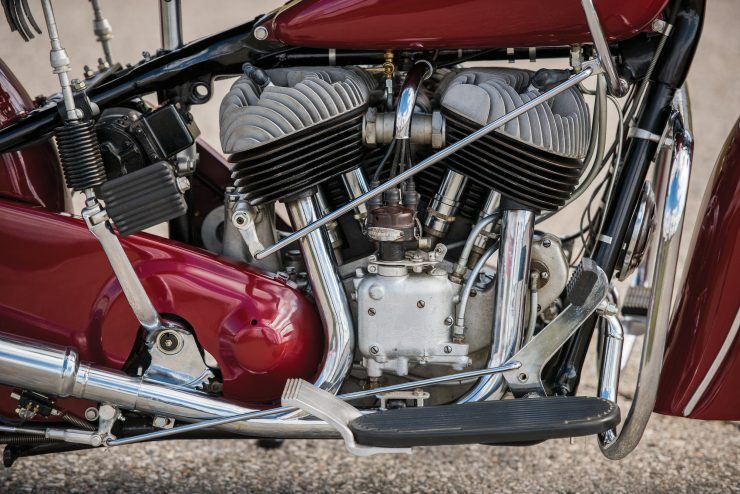 The Indian Chief Roadmaster was fitted with the iconic 40 hp, 74 cubic inch (1210cc) air-cooled, side-valve, 42° V-twin engine, coupled to a 3-speed transmission. 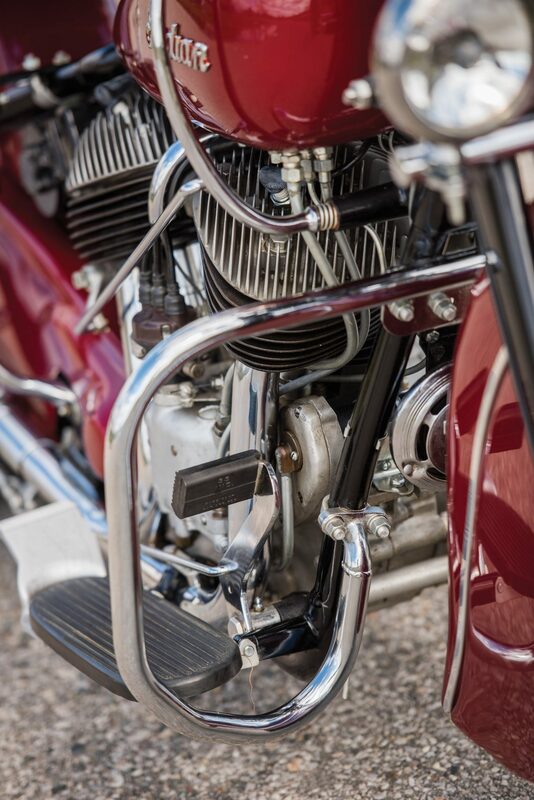 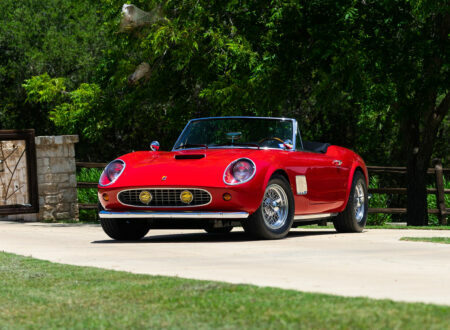 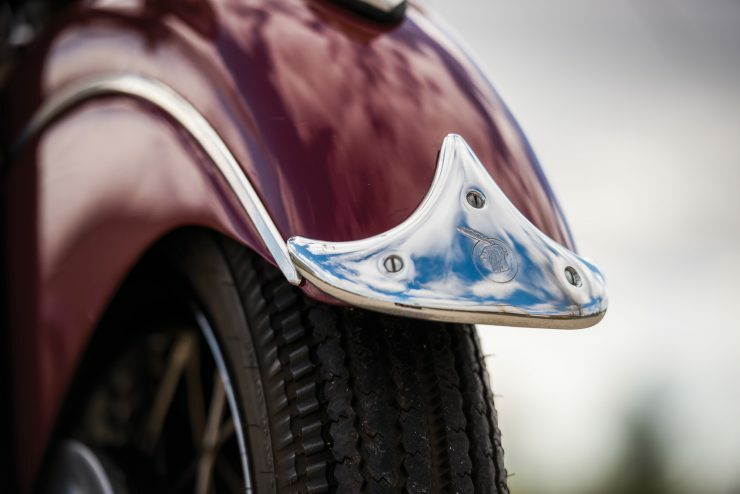 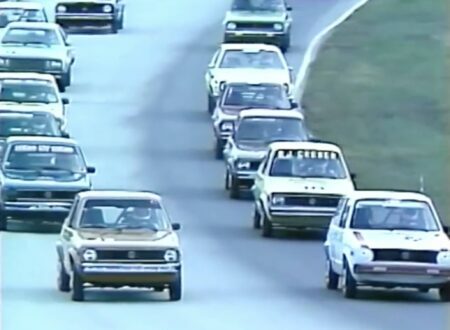 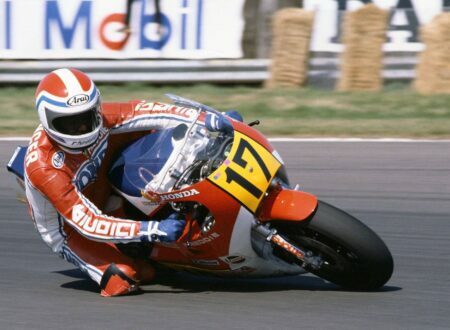 Despite the relatively hefty kerb weight the Chief could manage 85 mph (137 km/h) in standard trim and well over 100 mph (160 km/h) when modified for racing. 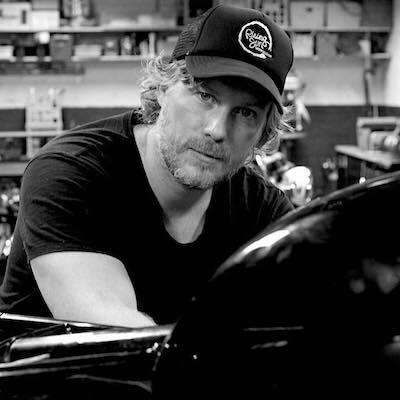 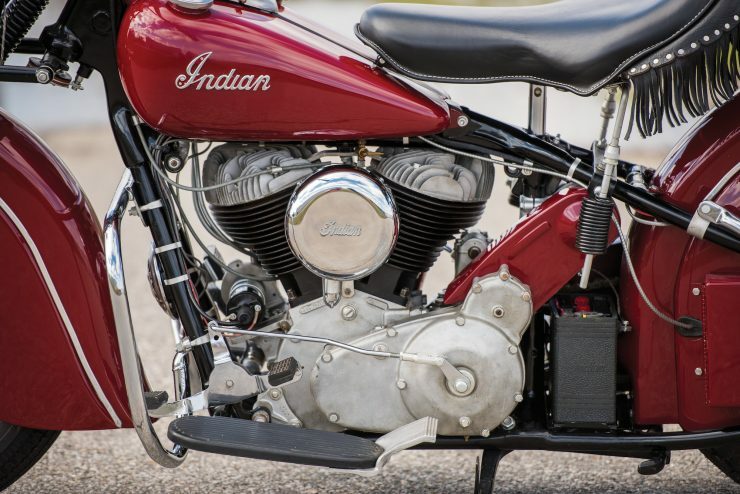 These modifications would usually involve larger carburettors, a front and rear fender delete, and as many other weight saving tweaks as possible – the resulting bikes became known as bobbers and remain one of the most popular forms of custom motorcycle in the world today. 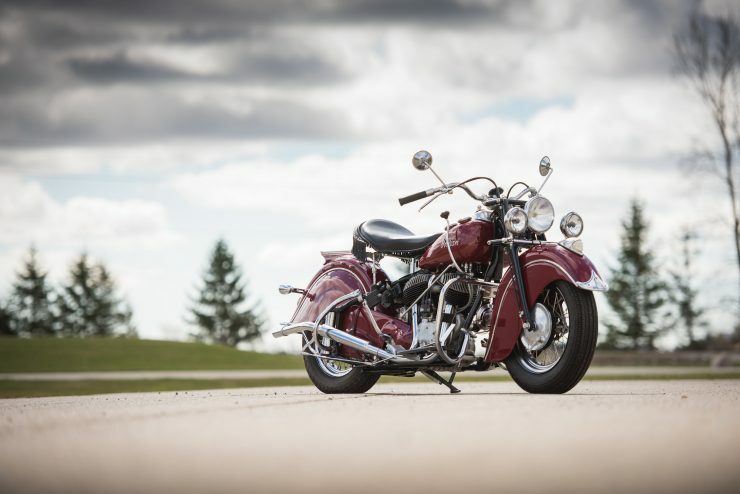 The 1947 Chief Roadmaster you see here is one of the finest examples of the model we’ve come across for quite some time, it’s wearing its original Indian Red, which to be perfectly honest is the only colour a Chief should be painted – and it has some of the cleanest chrome work you’re likely to see on a motorcycle that’s 70 years old. 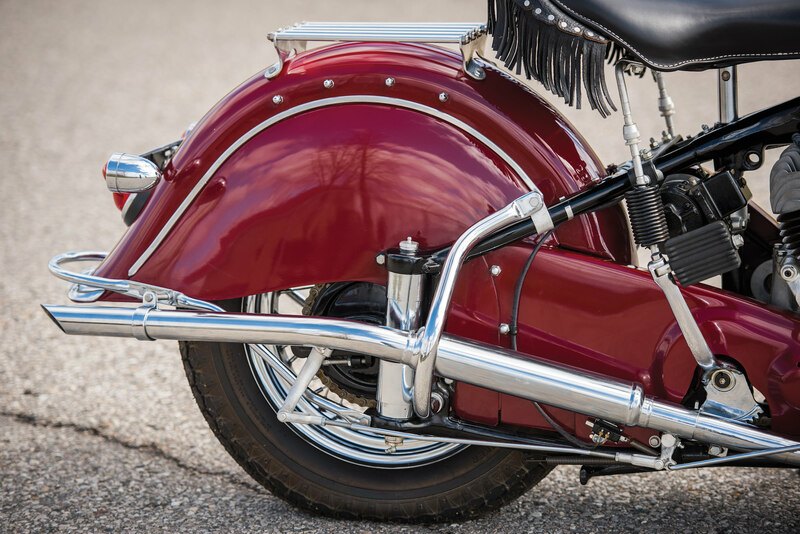 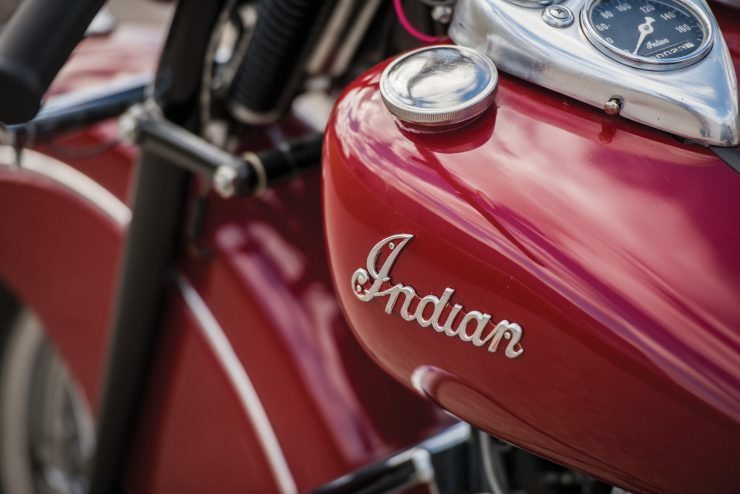 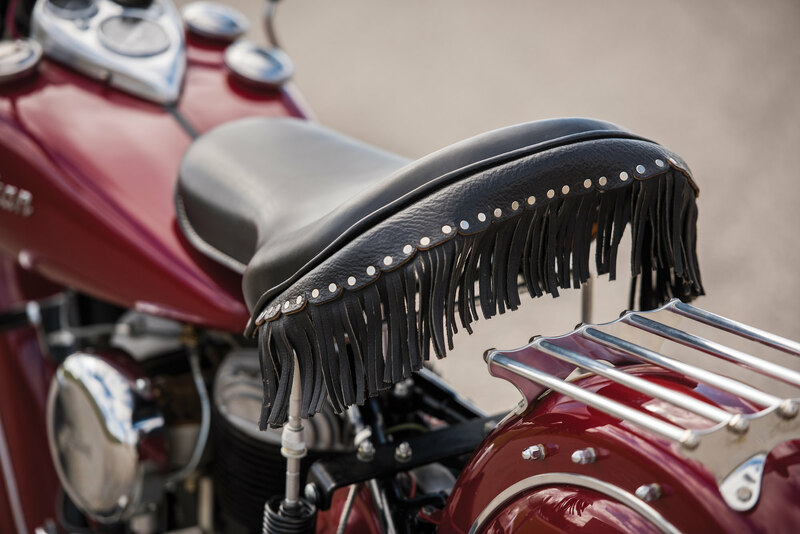 It retains its original front and rear fenders, both works of art in the own right, and it still features its original illuminated Indian head – a bit of a rarity. 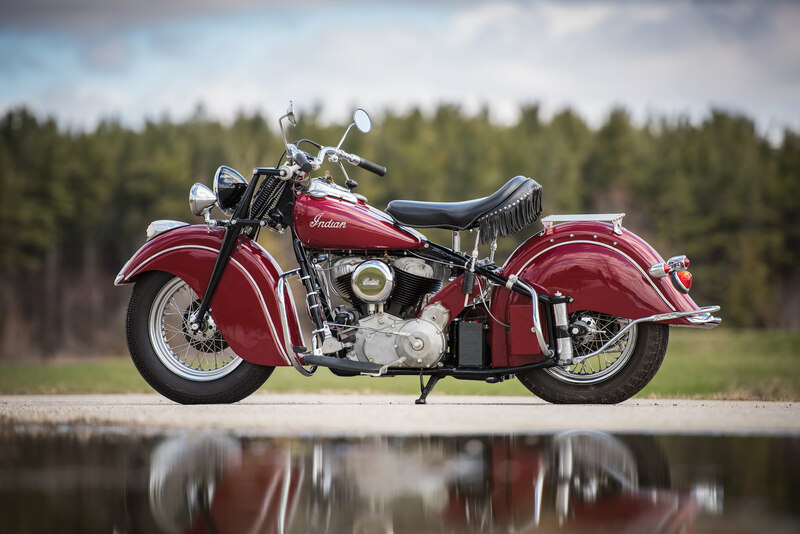 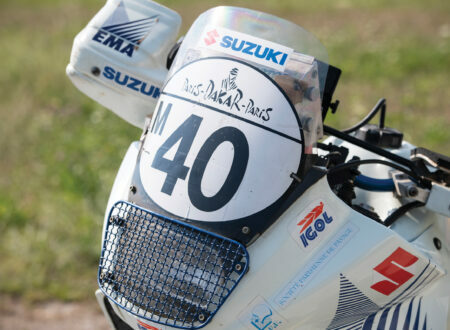 If you’d like to read more about this bike or register to bid on it you can click here to visit RM Sotheby’s.